Welcome to Edexcel AS / A-Level Maths Revision. On the right is a navigation bar with links to revision pages organised by topic. Each page provides access to Edexcel exam questions from past papers together with detailed mark schemes and full solutions. 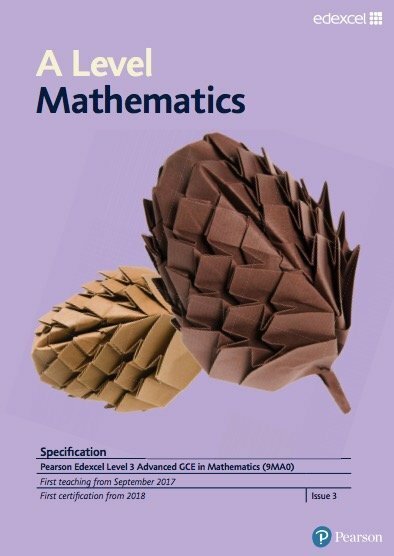 The cones image on each page provides a link to the relevant part of the Edexcel A-Level Mathematics Specification. Bold entries are AS requirements and normal type face entries are full A-Level requirements. Though every effort has been made to select past questions similar to those on the new specimen papers, the author cannot offer any assurance that exam questions on future Edexcel exam papers will match the material on this web site.